Goldsmith Jens Dam produces unique handcrafted jewelry in yellow gold, white gold, pink gold, platinum and silver. 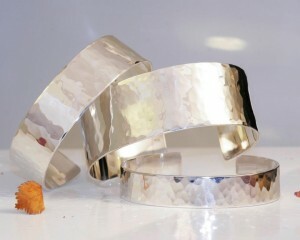 Checkout the silver bangles on his website, and you would love them. We are showcasing one of them below in our post. At his shop you would be talking directly with the jeweler in the store and you will get an option of working closely with the goldsmith to put your personal stamp on your new jewelry. Also checkout his facebook page for more details.